Taking twins out by yourself isn’t impossible. I won’t lie, it can be a bit overwhelming and stressful and I try to avoid it if I can. But there are times when it’s just me and the twins out on an adventure. Whether it be the park, the store, or on a walk, taking twins out by yourself can be done and these tips will help. #1 Get into a routine for packing up to leave the house and returning home. If you have a routine and stick with it, the one parent outings will get easier as the twins get used to it. #2 Use a stroller or wagon for as long as you can, to keep them from running off. When you let them out, teach them to stay by you or they have to get back in. #3 Dress the twins alike, and in bright colored shirts if you can. This is especially helpful when looking for your children in crowded places. #4 Find parks and playgrounds that are contained with fences so the twins can’t run off too far. I learned my lesson when each of the twins ran towards different streets at a local park. From then on I knew I had to find contained parks when it was just me. #5 Plan play dates with other moms so there are more hands to help. #6 If you know of other multiples moms, ask them their favorite places to take their twins solo. Hopefully they will give you enough ideas to keep everyone entertained for awhile. #7 Be flexible and allow yourself extra time. Making sure we have plenty of time is part of the glue that keeps my gasket from blowing. 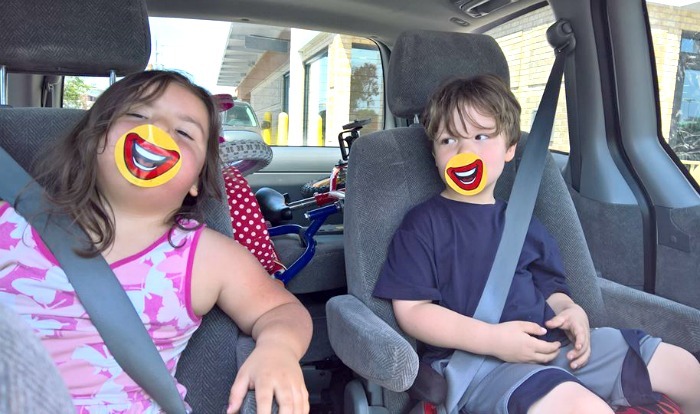 #8 Keep boredom busters in the car to avoid meltdowns. We have auto bingo and other car games, books, and suckers hidden away in case we need them. With a little planning and practice, taking twins out by yourself does get easier. As they grow older the challenges on those outings will change from figuring out where to change a diaper, to keeping them from running off. Either way, setting the groundwork with a good routine will help make it all easier at any age. 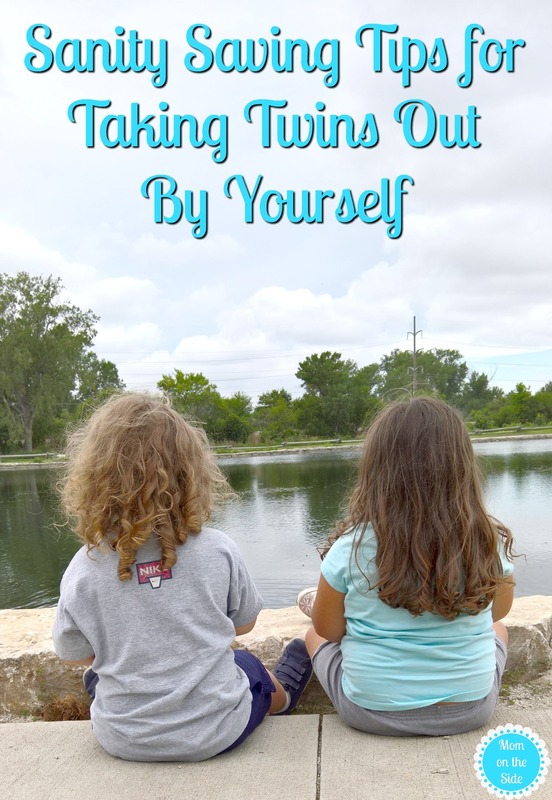 What are some of your tips for taking twins out solo?